Join Mansfield Feed Mill for a free Horse Owners Workshop on April 26th, 2016 at 6:30pm. 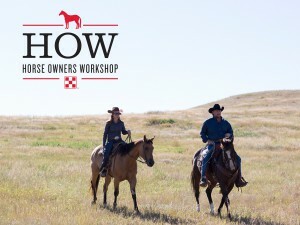 Bob Wucher with Purina Animal Nutrition will discuss “Evaluating Your Horses Nutrition Program and Weight Management” and is avilable to answer questions about your unique horse. Raffle prizes, frequent buyer cards, Buy One Get One Purina® feed coupons when you bring a friend, and even a $200 Ariat® gift card will be available! You don’t want to miss out on this event. Stop by Mansfield Feed for all your equine needs. If you have specific questions or just want to stay up to date on the foremost research in horse nutrition, RSVP below. This entry was posted on Thursday, March 17th, 2016 at 11:29 am	and is filed under Events, News & Updates. You can follow any responses to this entry through the RSS 2.0 feed. Both comments and pings are currently closed.